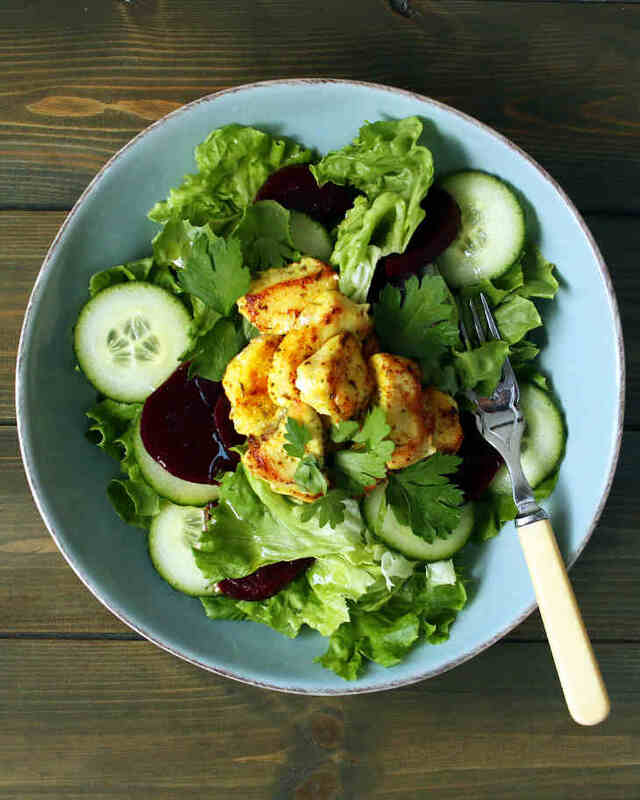 Make a quick dressing by mixing the olive oil and lemon juice in a small bowl. Season with salt and set aside. Mix together the turmeric powder, onion powder, garlic powder, and dried oregano. Season with salt. Drop the chicken pieces into the bowl to coat. 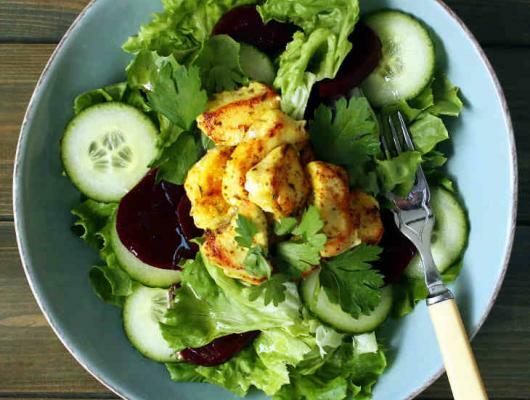 Toss the salad leaves and cucumber in the salad dressing and top with the cooked chicken pieces. Add the beetroot, onion slices, and parsley. Shawarma is an easy and delicious way to up your salad protein game at lunch while sticking to your AIP diet (autoimmune protocol). With strong flavors that work with just about any meat, it’s hard to get tired of this savory dish. Ditch the pita for some greens to enjoy some AIP chicken shawarma that is sure to keep you going strong until dinner.